Hey guys, long time forum stalker, first time poster here. 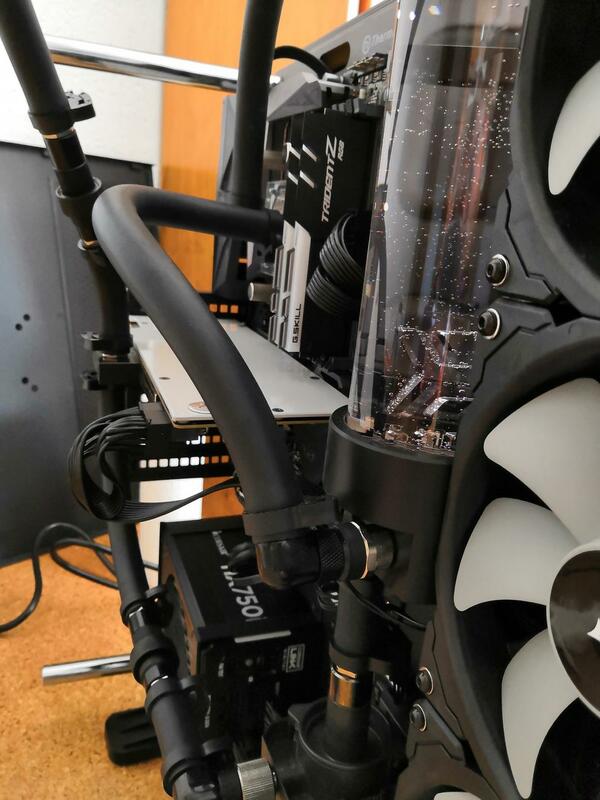 Right now I am in the middle of building a new "budget" watercooled system and I would like to share some of my ideas with you and maybe get some productive feedback. So while I was trying to find a case which would not cost me half a kidney I was also checking deals on different hardware. I decided to build a Ryzen system, as of right now there's not much more bang you can get for your buck. 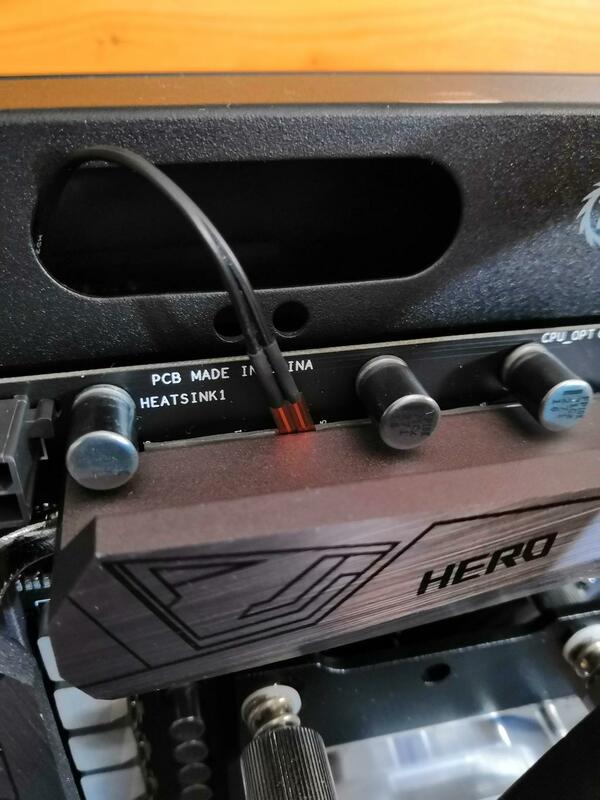 My mainboard choice was the CH6 Hero which I got for dirt cheap on ebay. 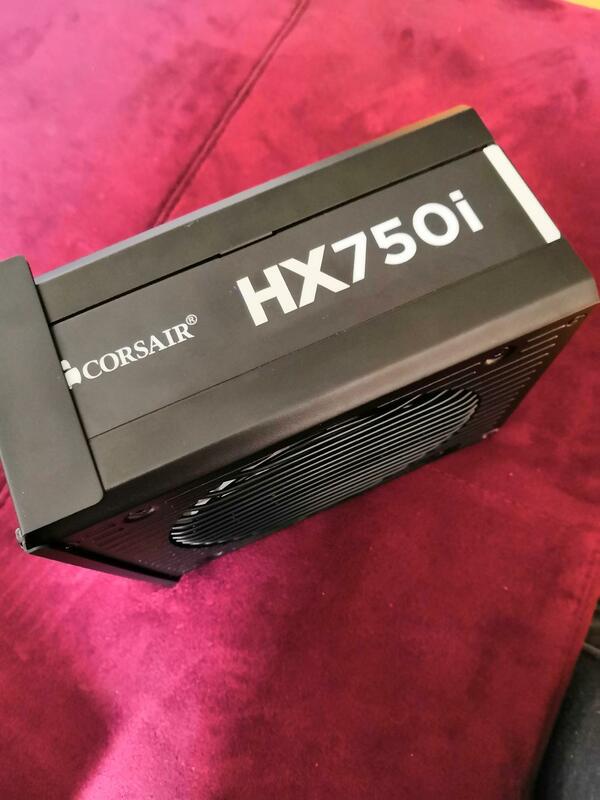 I already bought a new HX750i that will go inside and a Ryzen 2600 is on its way, together with a 500GB WD Black NVMe. -and my Corsair Commander Pro. So I removed the cap and took out the PCB to solder jumper 2 for silent mode and paint the cap black as blue didn't really fit the system. I am aiming for a mostly black and gray colour scheme. 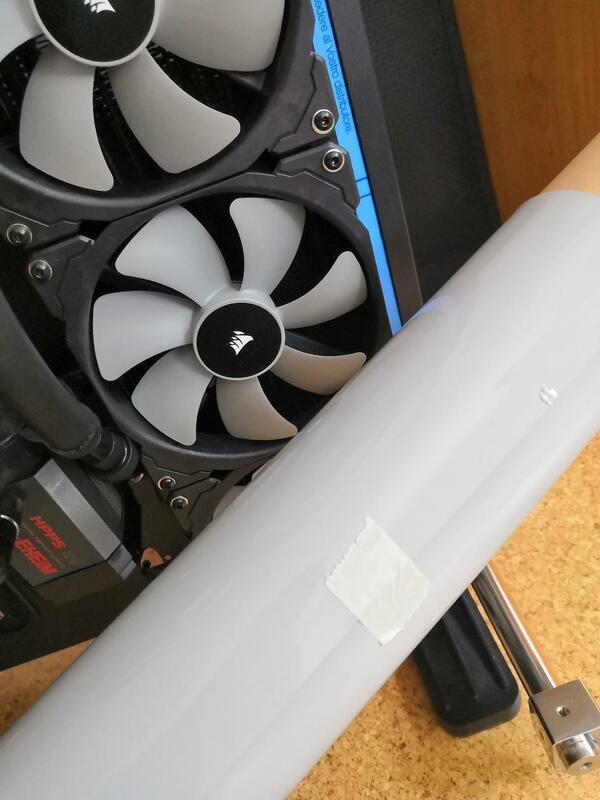 While the cap was drying I drilled a few holes into the Core P5 GT so that I could install the 560mm radiator. I have to say, it was a very tight fit. Once I installed the radiator I used a riveting tool to install M4 rivets which allowed me to easily attach the brackets for the reservoir. I still had the rubberfeet for the pump from many years ago and screwed the pump in place right below the reservoir. Luckily the mountingplate for the pump fit perfectly into the preexisting holes. Because I plan to switch out the GPU and RAM once I can get my hands on something affordable, I decided to use quick connect couplings for the GPU. I planned out the tube routing in my head and started to connect the different components. 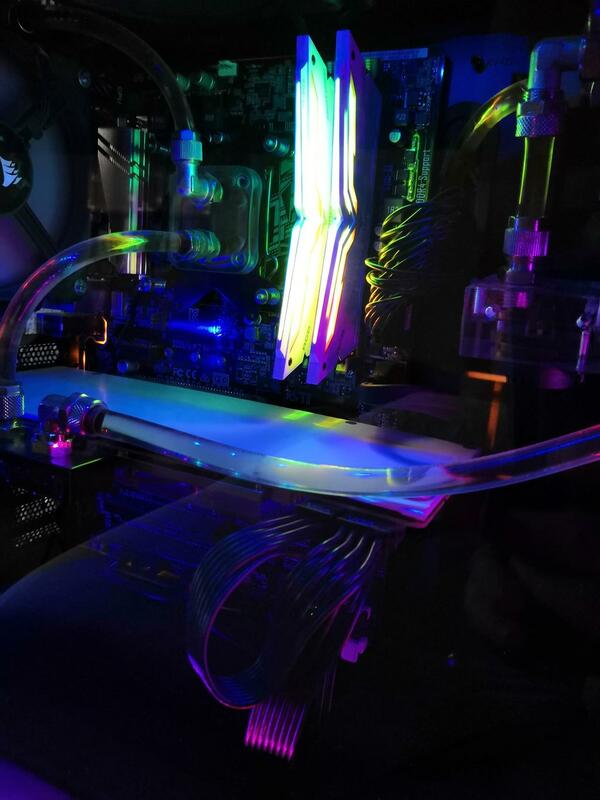 I don't yet have the CPU but I installed the waterblock anyways. I put the mainboard into the case and proceeded with cutting the tubes into length. I had to stop at the GPU connections, since I am still using the 980ti atm. 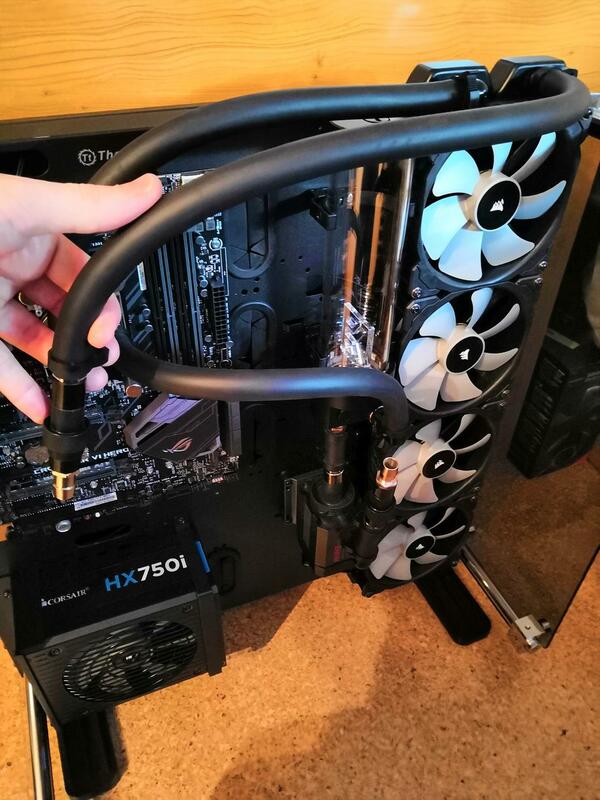 I was real fortunate to discover a problem with the quick connect fittings before I installed the whole loop! 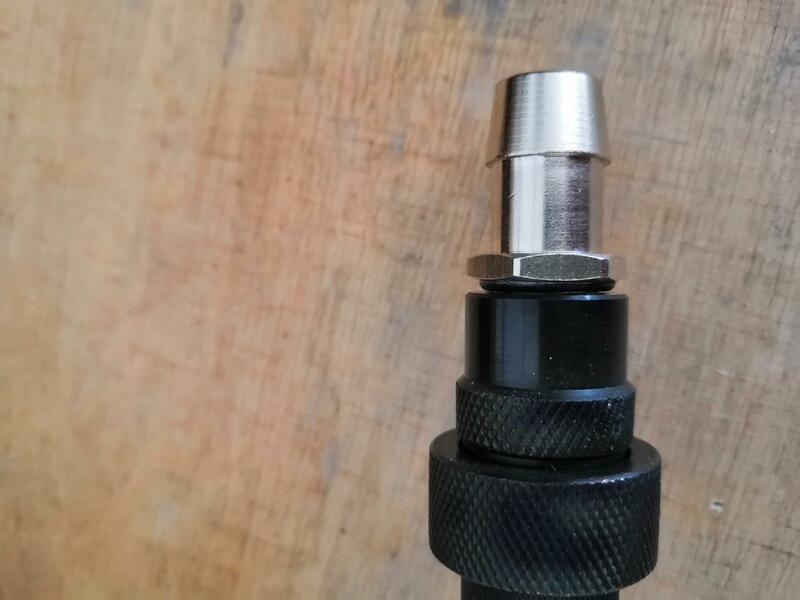 The threads of the G1/4 fittings I am using are a bit too long for the O-ring to make contact with the quick connect coupling. It was better to find this out now than when the loop is flooded. 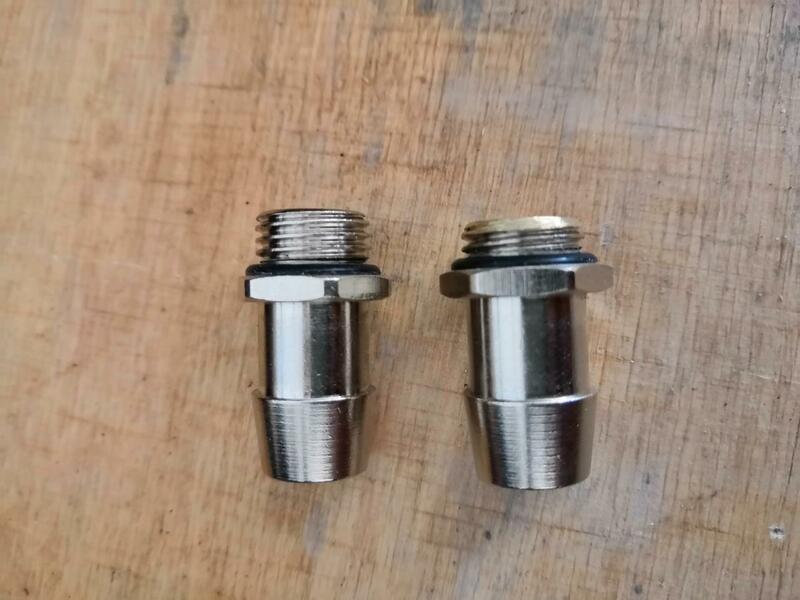 I was somewhat nervous when I first screwed in the now shortened fitting because I was not sure whether or not the threads would break after tightening the connection. They did not. 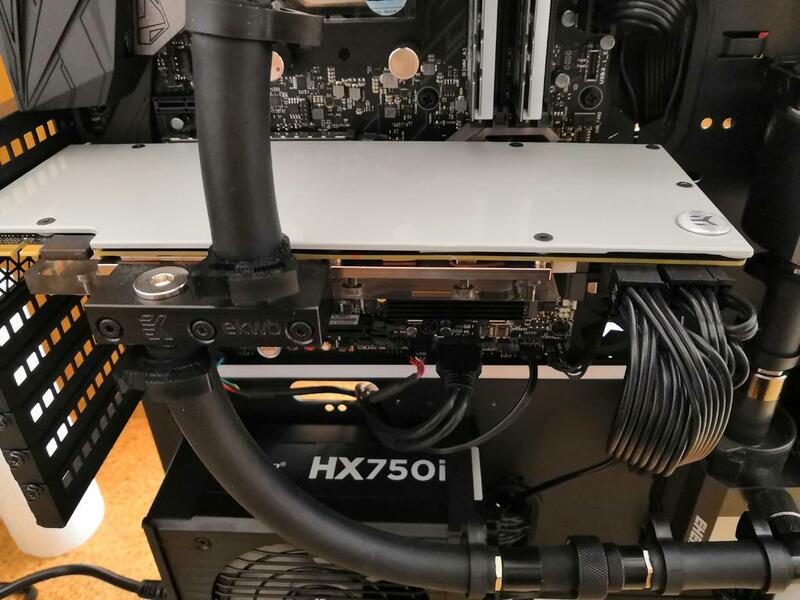 With the way I arrange the quick connect couplings I can also simply use an aircooled GPU in case I find a real good deal and have to wait for another good deal for a waterblock. I almost forgot to mention the Corsair Commander Pro preparations. I plan on using the Commander Pro to monitor and control my cooling and the lighting effects. The Commander Pro I bought some time ago included some thermal sensors which I intend to use this time round. 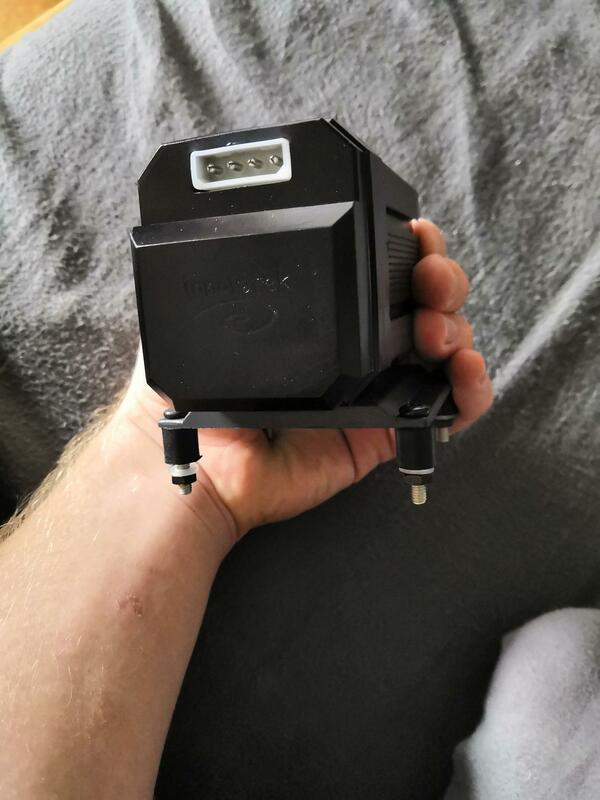 I bought an aquacomputer G1/4 thermal probe and replaced the actual sensor with the Corsair one (guaranteed to work). 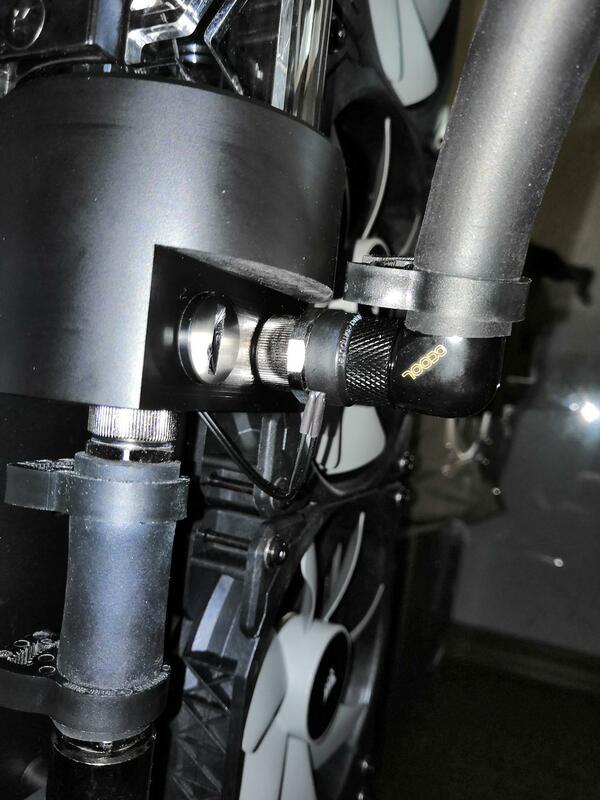 Hence the first thermal sensor will be used for checking the water temperature, it is installed at the reservoir intake and the Commander Pro will then control the four 140mm radiator fans based on the water temperature. The second sensor I simply slipped inbetween the VRMs and the VRM heatsink. I don't yet know if it will stay the way it is or if I will unscrew the heatsink completely and place the sensor right on top of an actual VRM. 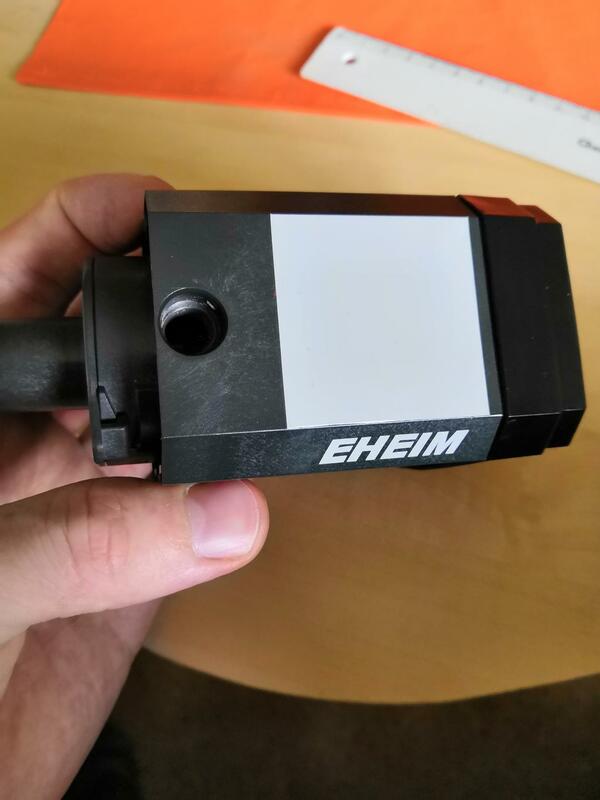 It all depends on how accurate the sensor reading will be (compared to HWinfo). I also plan on somehow installing a movable 120mm fan at the back of the case which I can directly point at the VRM heatsink. The Commander Pro will then control this fan based on a custom fan curve, depending on the sensor reading. 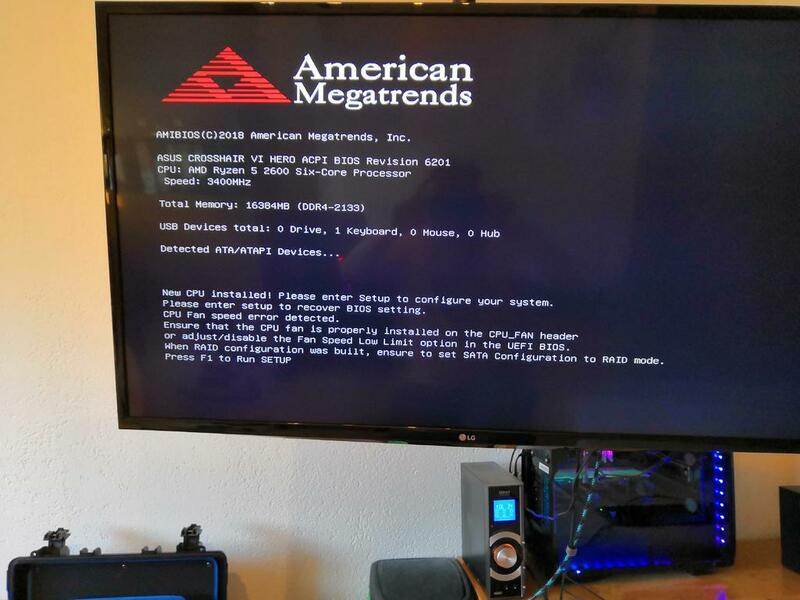 My current system is running a baseclock overclocked i5 6400 on an Asus Z170-P board. 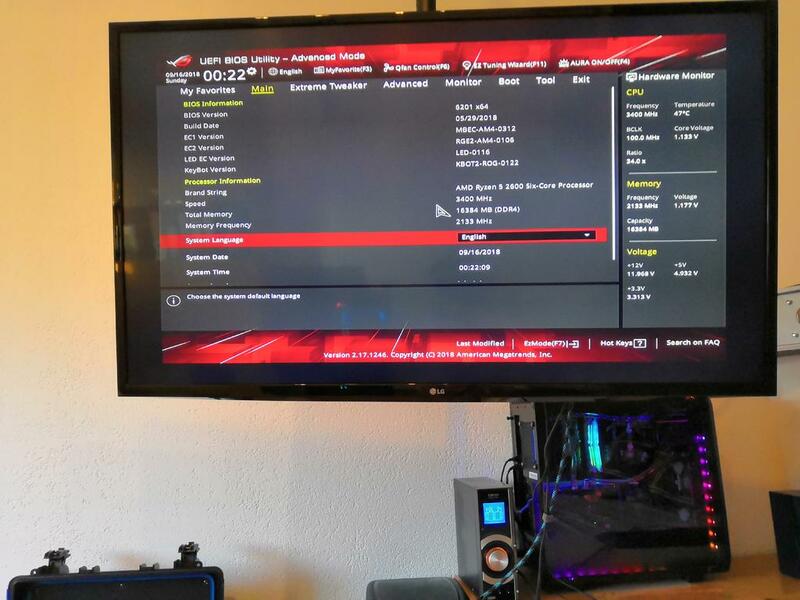 If you BCLK OC on any Z170 board your board will lose the ability to properly read the actual CPU temperature. 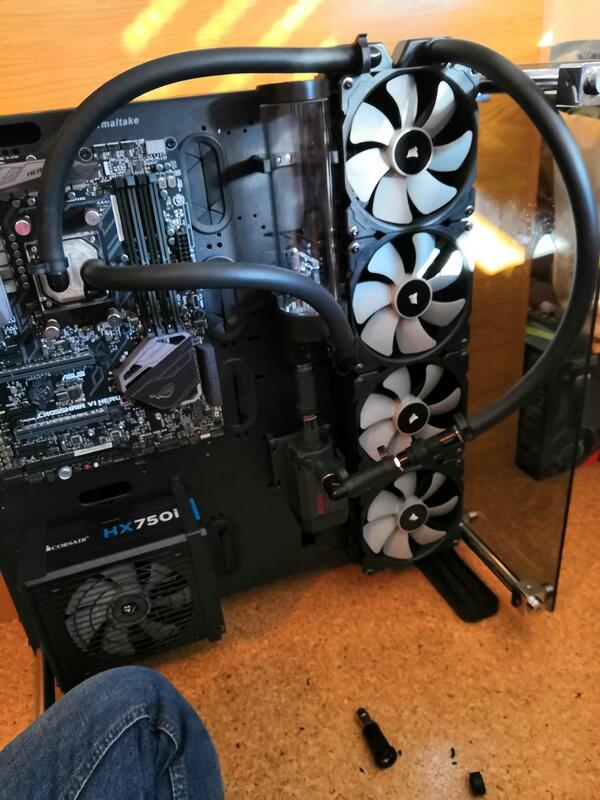 So I couldn't set up a proper fan curve and needed something that could. I didn't find any solution on the internet so I gave the Commander Pro a shot and as it turned out, it worked very well. With its help I set my custom fancurve based on my GPU temperature, it has worked flawlessly over the past 1,5 years so I plan to reuse this setup. Just mentioning this in case anybody who reads this ever is in a similar position and doesn't know how to get a proper fancurve working in said case. 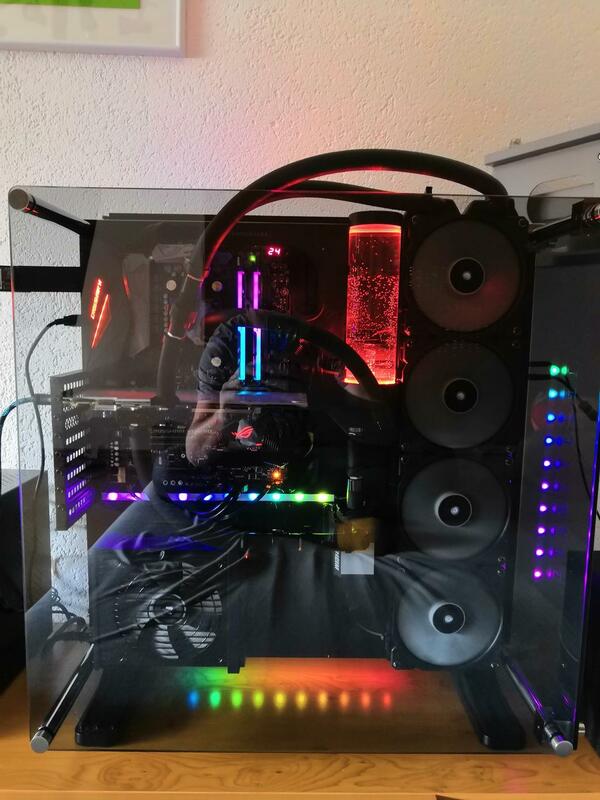 I need them to install the top glass panel since it does not fit anymore after installing the 560 rad. If anybody knows a site or somebody in this forum who does this for a hobby let me know, it would help me out lots! I am sorry for the many missing pictures. At first I didn't intend to post this build at all but since I thoroughly enjoy following other people's builds I figured heck, why not. I don't know how busy work will be, but I will try to keep this thread up to date. As soon as the important missing parts are coming in, I will be using the PC as my new system. I will however keep modifying it. Ok, so I have been patiently waiting for the CPU and the NVMe. As it turns out, one of the other articles from the same order wasn't in the warehouse and I won't be getting any of it until saturday noon. It's actually not too bad, considering I have been quite busy. However, yesterday the aluminium profiles for the LED-stripes showed up. I ordered magnetic tape together with it (the good one, with M3 adhesive), 2m each. It took me only 15-20 minutes to cut the profiles into the right length and stick the tape onto it. I really like how easy this small process was and how big of an impact it will have on the system later on. Because of the magnetic tape I can rearrange the strips easily in whichever way I choose to in future builds. 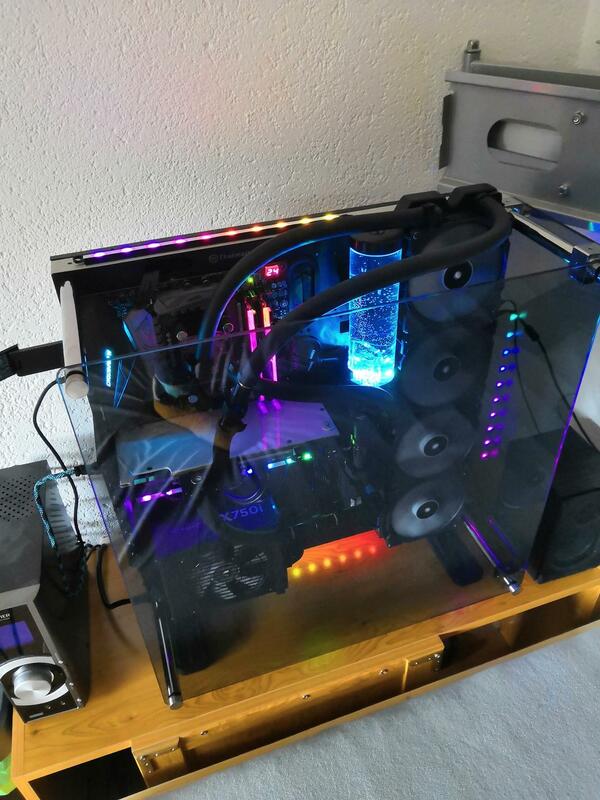 I cut two pieces into 30cm (length of the Corsair RGB-stips I got), one piece was cut into 50cm to cover the side next to the radiator (I will just have to wait and see if it looks funky in a good or bad way once the LEDs are up and running, since not all of that piece will light up). The two meters I ordered came in 2x1m pieces so I had two pieces left over (20cm+70cm). I own 4 LED-strips and decided that I will be putting the fourth strip under the case. I didn't feel like throwing out the small piece, so I cut off another 20cm piece and stuck them together. Once the case is completed and standing upright nobody will be able to see underneath it anyways. I did not yet drill the throughholes for the LED cables as I don't know yet if I will stick with this lighting layout. I will do a quick testrun first and then decide on whether or not the strips will stay that way. Another great update to the system will be the RAM that I got my hands on. Sunday night I managed to win a bidding on ebay for two sticks of g.Skill Trident Z RGB DDR4 3600 CL16. Alltogether 16GB of Samsung B-die RGB goodness for only 150€, yay. I also bet some pocket money on a 750GB Seagate Barracuda from the same seller and got the deal as well, however I don't yet know if this will find its way into the system or if I will just keep it lying around for another project. Also: While I was putting on the "underglow" I got reminded again how ugly these case stands look. They really have to go, I need to come up with a non-expensive way of creating some stand that looks factory. My only tiny little niggle. The photo showing the thermal sensor in the heatsink. Great idea. But I think you should have fed it through one of the two small holes to really clean up the cable. Other than that. Looks like a good build coming along. edit* This case has grown on me alot in the past few months after seeing what people are doing with it. I have seen 2 laid flat and made into a desk build, and many wall mounts. Pretty good versatile case to me. 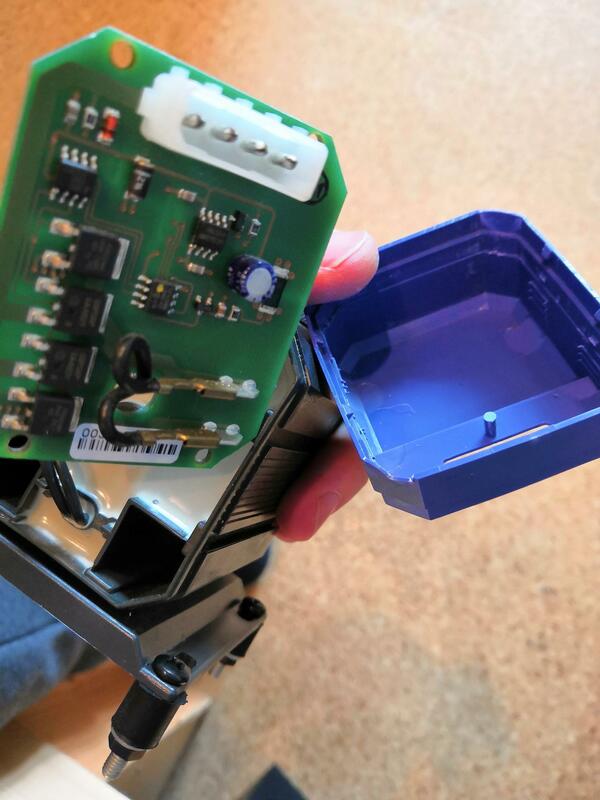 I will try to take out the sensor and slip it through one of the tiny holes. I figured that it would probably be invisible once the 4+4 and 4 Pin cables for the mainboard are plugged in. Today the Ram and HDD arrived. 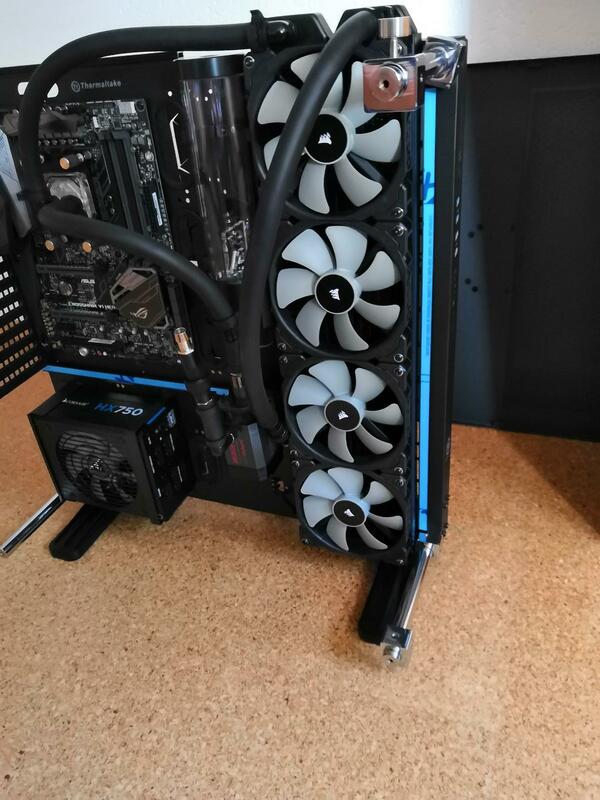 I didn't know that the Trident Z were bicoloured, one side is black, the other dark gray. On ebay only the black color was shown. The grey fits in nicely with the colour scheme of this build so it doesn't bother me much. I basically need four cylinders with a hole in the center so that I can thread them and three bricks with a few wholes inside to attach the planned casefeet and the adjustable fan. I don't know if I should find their proposed price funny or simply ridiculous. They want to charge me around 650€! Haha. The cylinders have a diameter of 20mm and are 30mm long with a 4mm hole inside and the bricks are 30mm x 34mm x 26mm with a few offset holes. 650€, I wonder who would ever be willing to pay such a price. I guess I will have to check out the shops nearby and ask how much this would cost me. In case it is too expensive I'll ask if any of their employees would like to trade some CNC operator hours for my skills as an electrician. I am not willing to pay more than 40€ for this, because I know that a skilled person can make this within an hour (even 40€ seems too much for a few fancy looking spacers and three metal bricks with offset holes in them)... 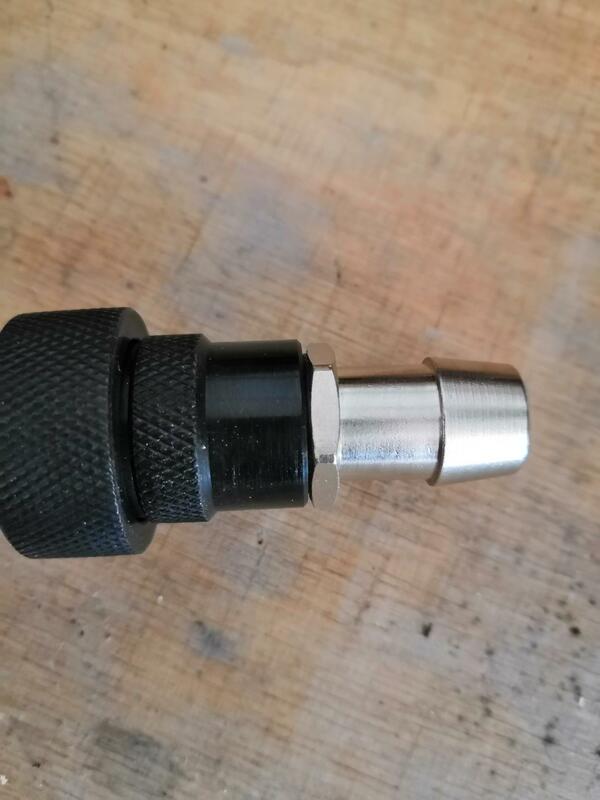 If I had the right tools I could easily do this myself. For some reason everything I order seems to arrive at different days. I feel sorry for the postman who had to wait daily because I needed to sign the delivery. Today I received the foil. The gray of the foil is very similar to the one from the Corsair fans. 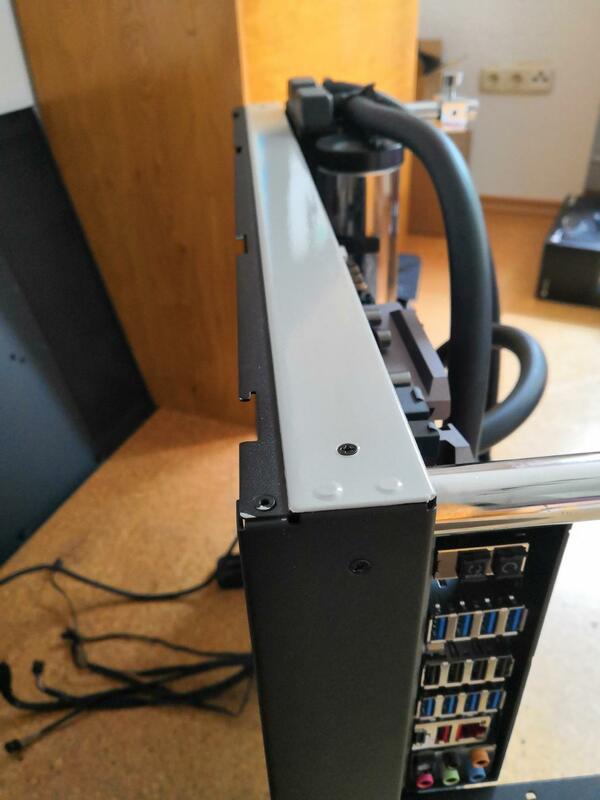 It is meant for covering up some scratches on the case and for the GPU backplate. Once I sort out the case feet I might as well make them gray, I still have lots of the foil left. This is how it looks now. I have had some experience with using automotive foil on another case in the past and that one sucked hard. I pretty much made all the mistakes you are not supposed to make. After learning from my past mistakes it worked out quite nicely this time, aside from the two small rivets near the very edge of both ends (which I didn't want to drill out and then redo because I have not seen any rivets like these before) it looks like it comes this way from the factory. Neat! You can not see it on any of the pictures, but I rearranged the thermal sensor for the VRMs as suggested by Warchild. 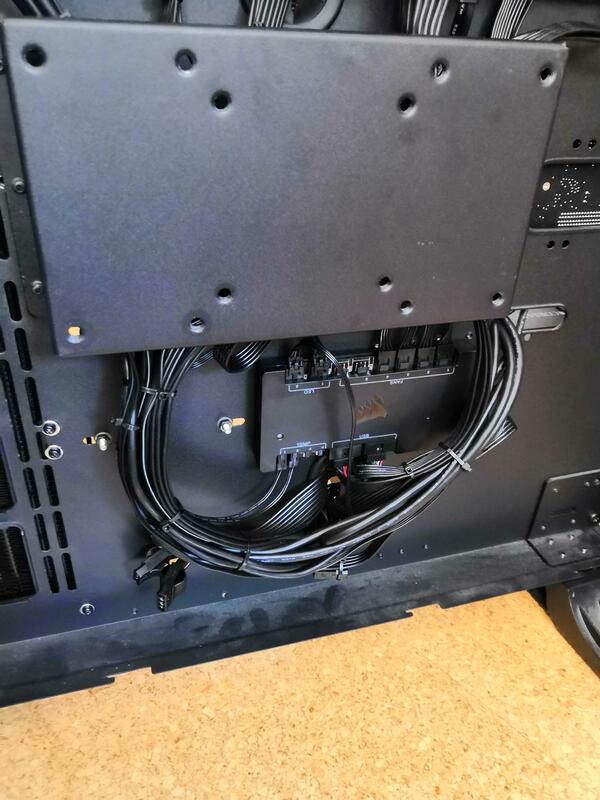 After putting it through one of the small holes you really have to look twice to spot the cable. Today I finally got the last delivery for now. 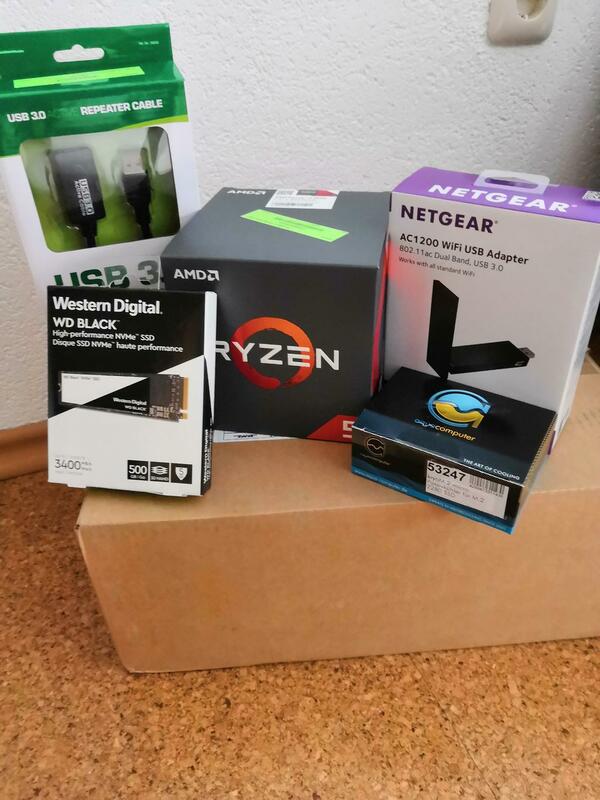 In it was the CPU, the 500GB NVMe, a heatsink for it and some other stuff I need. Recently I bought a fritzbox 7490 which supports 5GHz networking because my previous router only supported 2.4GHz networking. I ordered a new Wifi-dongle and an active USB 3.0 extension for it. I quickly mounted the M.2 heatsink on the NVMe and proceeded to make the PSU and the waterpump uniform with the colour scheme of the build. For that I used some more of the automotive foil. I put some scotch tape on the PSU and traced the letters. Then I removed the tape, put it on top of some white paper and then put that on top of the foil. Then I carefully cut the letters out with an exacto knife (or however you call it in english). 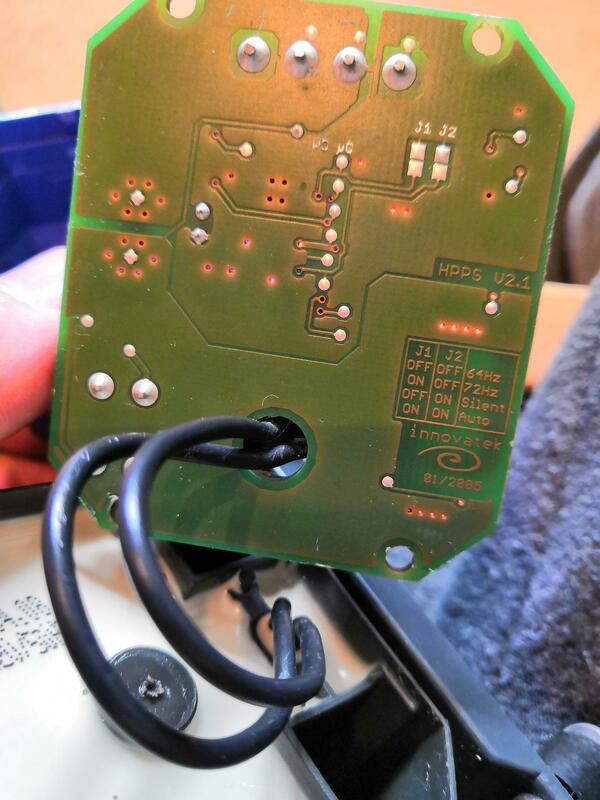 While I was at it, I also cut out a plain rectangle for covering up the red letters on the pump. After attaching it, the pump itself looked a bit plain so I decided to baptize it. I printed out "EHEIM" in different fonts and picked the one I best liked. Then again it was time for some scotch tape and knivework. I will probably be spending the rest of the evening/night with foliating the GPU backplate, putting in the tubing and setting up windows. After I figure out how to update the CH6 Hero UEFI to accept the Ryzen 2000 series that is. I know there is a way to update the bios without needing to put in a CPU or even RAM for that matter, I ll just have to do a little research. If s**t hits the fan I might even have to buy another mainboard, as the one I got was bought defective. 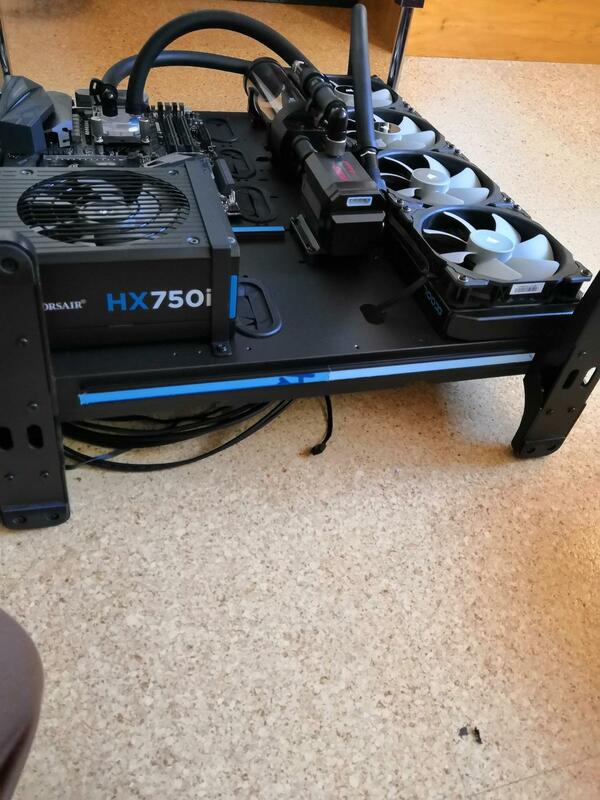 I got it on ebay for 60€ because the previous owner couldn't get it to run (Code 08). 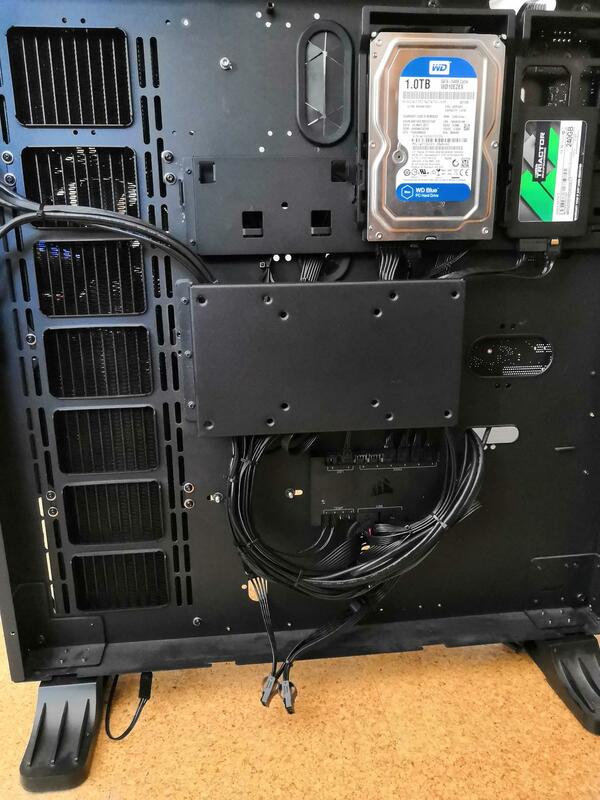 It seemed like he didn't really try to get it up and running though, as when I got the MB, everything except the board were still sealed (I/O Shield, cables etc). So I am confident that it will work once I update the UEFI. If everything works out I might post some pics of the system, if not the project will be on hold until I can get another proper board for cheap. EDIT: It is now around 3 hours later and I didn't get to do much yet. All I could do was plug in my old GTX 9600 and see if the CPU works after the BIOS Flashback before some other stuff came up. Everything worked out, just as I hoped. The UEFI Update was a breeze and the CPU as well as the RAM and the NVMe are all recognized correctly. I only powered up the system for a short time as I didn't put any cooler on the CPU yet, that is also why the temperature reading in the pic seems quite high. In the background you can see my old PC. 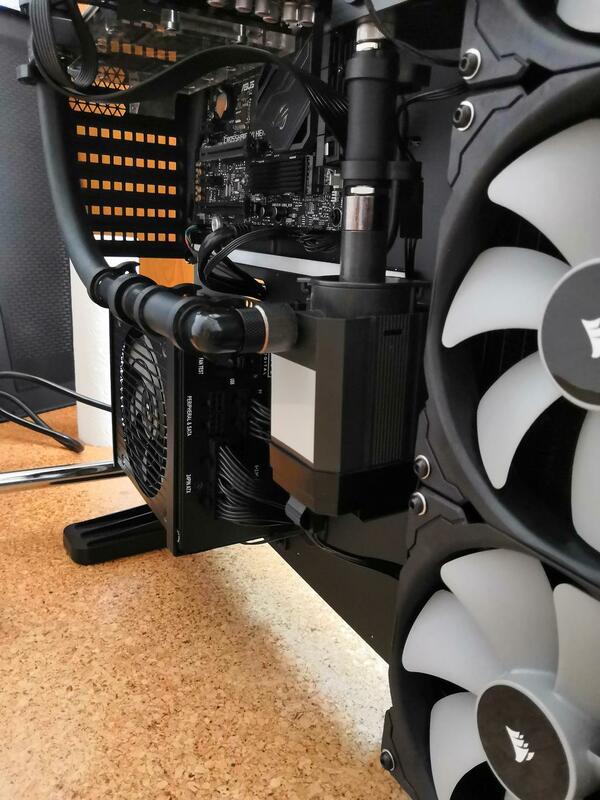 The Pure Base 600 Case holds the reservoir in the drive bay and runs a 240 rad in the front, a 120 rad in the back (both intake) and 2x 140 Corsair ML at the top (exhaust). If you haven't figured it out by now, I love me some Corsair MLs. Their price to performance is quite nice (even though they are on the more expensive side) because they have amazing static pressure for watercooling. 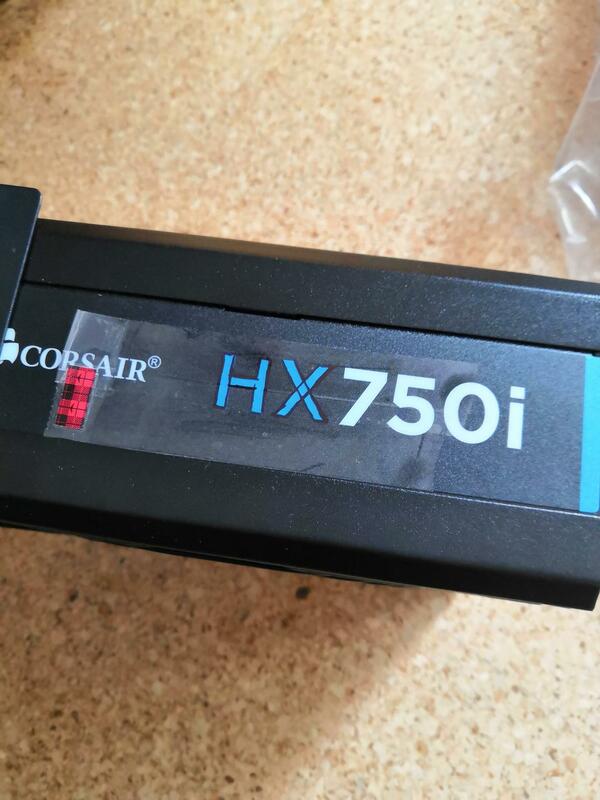 I bent some aluminium sheets and painted them black, as the Pure Base 600 does not have a PSU shroud and the HDD cages did not really look that aesthetic to begin with. The selfmade covers are held in place by blue tag. The past hour was spent making sure that I saved all the important data on the HDD as I will now be formatting the SSD. I also took some CPU-benchmark screenshots as I will be putting it on ebay tomorrow. I somehow have a feeling that this is gonna be a long night, I hope everything goes well and that there will be no water leakage. The system is now up and running. It got real late so I didn't bother taking many pictures of minor details, such as wrapping the GPU backplate or finishing the tubing. 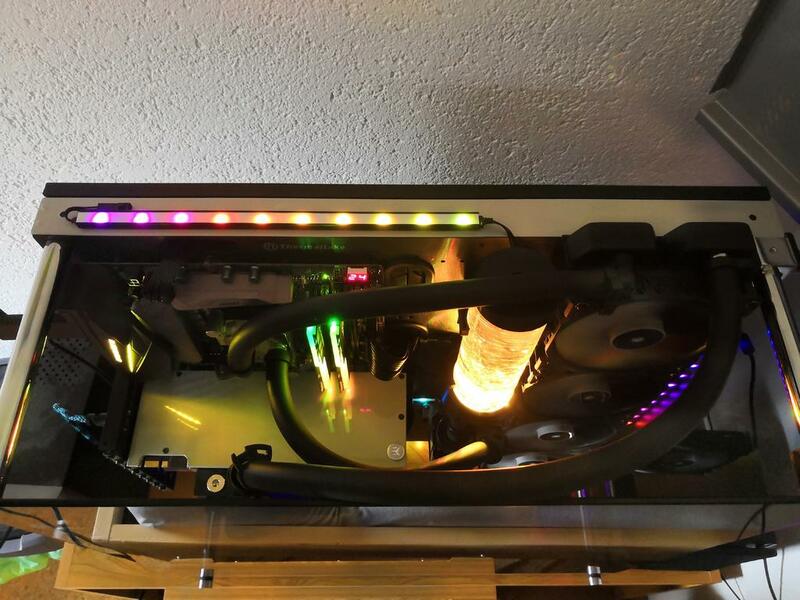 The backplate turned out nicely, there is one small where the SLI bridge would normally sit, but you can barely see it. 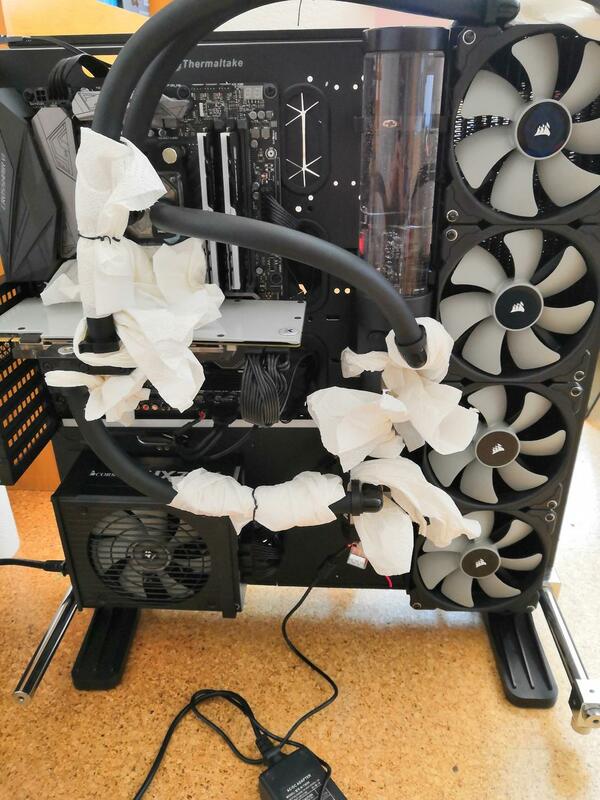 Once I finished installing the GPU and the tubing I wrapped some papertowels around the fittings. Because I already did most of the cable management and had them plugged in, I couldn't use the PSU to power the pump. 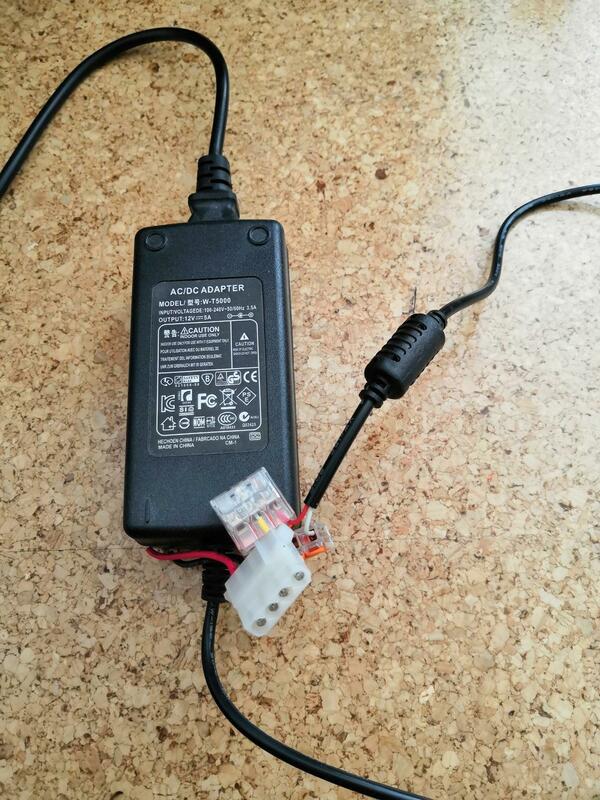 I remembered that I had an old 12V DC PSU lying around from my old room lighting and decided to behead the connector. Then I made a quick 'n dirty adapter and let the pump run over night (well, 6h to be exact, as my night wasn't that long ). 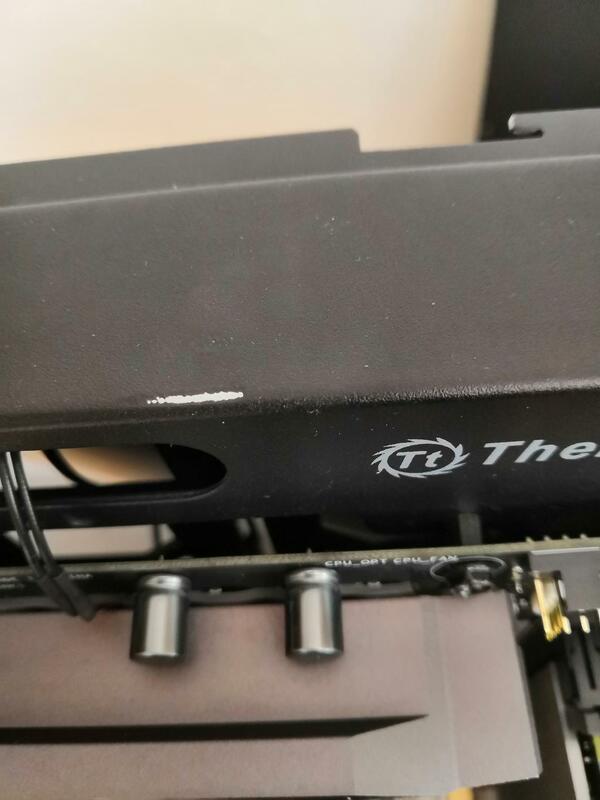 I messed up the inner corner where the SLI bridge would sit, you might spot the small wrinkle. It got real late and I lost concentration for a sec. The next time I will definitely take my time and not start finishing up a closed water loop late in the evening. This should prevent another wrapping mistake. Right now I don't care much though because I managed to snag up a used Vega 64 (no mining) for 410€. 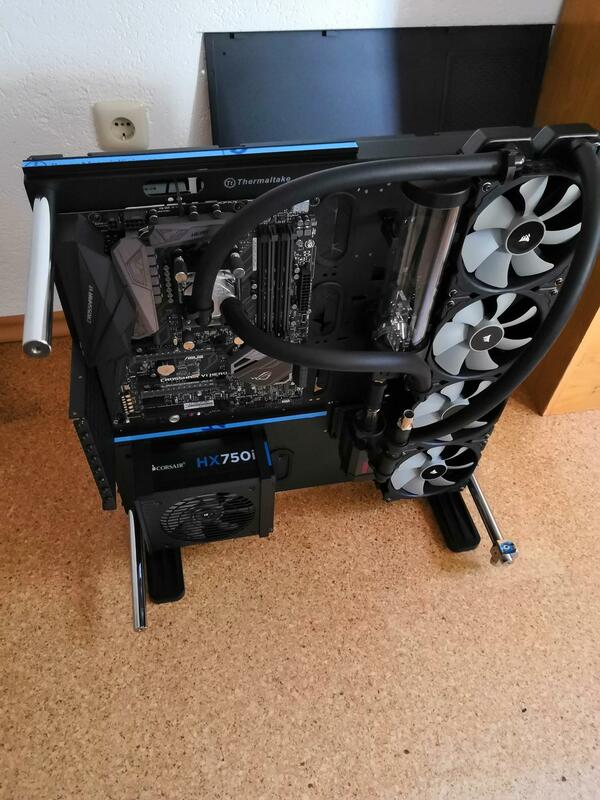 Doesn't sound that cheap normally, but it comes with a 240mm Alphacool Eiswolf watercooler attached to it which I will sell for at least 120€. Vega 64 for less than 300€? Yes please! As I do plan to oc the card a bit, all that's left is to find a GPU block with better VRM cooling than the Nexxos GPX. 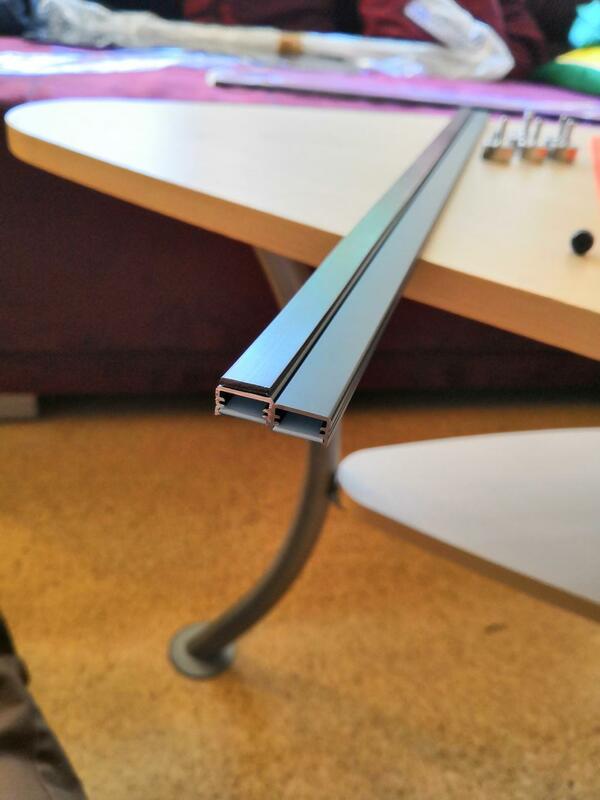 Sadly the aluminium profiles for the LED-strips turned out a bit disappointing. It does make the LEDs look less in your face and makes the lighting feel softer. But I was really aiming for a real smooth lighting experience, no visible spots at all... I wil see how much I like this. A simple solution might be to just flip the whole profile 90° and attach the magnetic strips to the side. That way the LEDs will not be directly pointed at the eyes and instead shine either upwards or downwards and give some indirect lighting. I talked to somebody who knows somebody who might help me out with the spacers for the top glass panel. This might be the next addition to the case. Until then I will try to figure out how to mount the adjustable fan and just how the fudge I am going to create the new case feet. I will definitely somehow manage to make the case look less like an open air case and more like a normal big tower with lots of glass, I just don't yet know how exactly I am gonna do it. Before I continue with all of this, I first want to get the PC itself up and running properly. I have had some troubles with the Corsair Link software giving me wrong CPU temperature readings. I am also still running on DDR4 2133MHz and the standard R5 2600 clockspeed as time right now is scarce and I'd rather have a not perfectly running system than an unstable one.